With U.N. coalition forces bombarding Libyan leader Muammar el-Qaddafi from the sea and air, the United Statesâ€™ part in the operation could ultimately hit several billion dollars â€” and require the Pentagon to request emergency funding from Congress to pay for it. The first day of Operation Odyssey Dawn had a price tag that was well over $100 million for the U.S. in missiles alone. And the U.S. military, which remains in the lead now in its third day, has pumped millions more into air- and sea-launched strikes targeting air-defense sites and ground-force positions along Libyaâ€™s coastline. The Pentagon has the money in its budget to cover unexpected contingencies and can also use fourth-quarter dollars to cover the costs of operations now. â€œTheyâ€™re very used to doing this operation where they borrow from Peter to pay Paul,â€� said Gordon Adams, who served as the Office of Management and Budgetâ€™s associate director for national security during the Clinton administration. How long can they keep blowing up this bubble before it pops and the dollar collapses and/or the American government defaults and has to be bailed out by the offshore criminals who engineered the whole crisis? Is there any solution in sight other than ending the Fed completely and wiping out all of the artificial leveraged debt. Have you read the following thread? Call it another sterling example of corporate-flavored "bipartisanship." With a government shut-down looming over a manufactured "deficit crisis," the World Socialist Web Site reports that the "Obama administration and congressional Democrats have offered to triple the amount of cuts in social spending for the remainder of the current fiscal year, from $10 billion to $30 billion, in ongoing talks with congressional Republicans that face an April 8 deadline." Leftist critic Patrick Martin comments that these "cuts would be the largest ever imposed in a single year's federal budget." If passed, the "cumulative effect" of slashing social spending in FY2011 will be "much greater" over time. In fact, according to estimates, "the House Republican plan would result in social spending that is $1 trillion lower over ten years." While legislators in a score of states are slashing unemployment benefits, medical care and educational opportunities for Americans hit hardest by the crisis, Zero Hedge reports that at the beginning of the 2008 financial meltdown the largest U.S. banks "scrambled to the Fed to soak up any and all available liquidity after confidence in the entire ponzi collapsed." Hardly a shocker considering that investment banking giant Goldman Sachs, as McClatchy revealed, "peddled more than $40 billion in securities backed by at least 200,000 risky home mortgages, but never told the buyers it was secretly betting that a sharp drop in U.S. housing prices would send the value of those securities plummeting." As investigative journalist Greg Gordon reported, "Goldman's clandestine wagers" completed just before the overinflated housing bubble burst like a putrescent boil, "enabled the nation's premier investment bank to pass most of its potential losses to others before a flood of mortgage defaults staggered the U.S. and global economies." According to Zero Hedge, once the system entered full crisis mode, with share prices plummeting and pension funds, insurance firms, labor unions and overseas financial houses facing catastrophic losses and potential collapse, Federal Reserve Bank Chairman Ben Bernanke mandated that the Primary Dealer Credit Facility be "downgraded to accept collateral of any type," and that the very institutions responsible for the crisis "had the temerity to pledge bonds that had defaulted (i.e. had a rating of D)." In fact, Zero Hedge revealed, "the Fed would accept Defaulted bonds as collateral: or 'assets' that have no value whatsoever"! Within a few weeks "this practice became pervasive, with virtually every banker pledging defaulted bonds in exchange for money good cash with which to pretend these banks were doing just fine (not to mention that $71.7 billion in collapsing equities represented nearly half the total collateral of $164.3 billion pledged to receive $155 billion in cash.)" And whom, pray tell, with a wink and a nod from Bush, and now Obama administration "deficit hawks" gamed the system best? Why Goldman Sachs and JP Morgan Chase of course! It gets better. ProPublica tells us that while teachers, nurses and other greedy public sector workers (you know, Leona Helmsley's "little people") have their rights stripped away, pay for bank executives "seems to have been immune to the recession and unaffected by the bailouts." 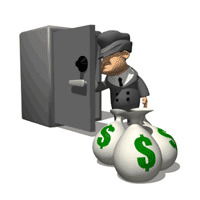 According to a report in American Banker cited by the investigative news site, "in 2003, the banking industry's 1.3 million full-time employees took home $78.3 billion. In 2010, its 2.1 million employees took home $168.1 billion." ProPublica's Marian Wang informs us "that the point here is the trend, not the actual average. The figure mixes the modest wages of bank tellers with the big bonuses for top execs and investment bankers." "CEOs, of course," notes Wang, "are still pulling in millions." Bank of America for example "made headlines this week for what seemed to be a cut to CEO Brian Moynihan's compensation. But the $1.94 million he's reported to have taken home in 2010 doesn't include the more than $9 million in deferred compensation that he's due to receive this year." A sweet deal if you can get it, which of course, you can't. Instead, for misplaced loyalties to a system intent on grinding us underfoot and charging us for the privilege, The Wall Street Journal reported that despite an alleged "improvement in the labor market, many workers are barely treading water as their wages fail to keep up with rising prices." "Compared with a year earlier," the Journal avers, "average inflation-adjusted wages have declined." Unsurprisingly, "the weakness in wages comes amid surging corporate profits and continued productivity gains. With unemployment still high--8.8% in March--employers are finding so much labor available that they are able to keep a tight lid on wages." These latest outrages come hard on the heels of reports that arms, nuke plant and media giant (can you say Fukashima Daiichi 1-6 and NBC), General Electric, will pay no federal income taxes this year despite "earning" some $14.1 billion in 2010 profits. Under Congress' watchful eye, GE stands to rake in a $3.2 billion tax credit for offshoring U.S. jobs to low wage platforms in various managed democracies. Rather rich considering that our Grifter-in-Chief, hope and change huckster Barack Obama, named GE's CEO Jeffrey Immelt to head the president's Council on Jobs and Economic Competitiveness back in January, Bloomberg News reported. No surprise here once you learn, as OpenSecrets.org did, that GE doled out some $39.2 million in 2010 lobbying the best Congress money can buy. The World Socialist Web Site avers, with troglodytic Republicans demanding some $61 billion in social spending cuts at the behest of crazed Tea Party groups bankrolled by billionaires, "progressive" Democrats have agreed to meet their henchmen half-way across the aisle, a process called "splitting the difference" that will result in "cuts of approximately $33 billion." "A bipartisan group of 64 senators, 32 from each party, signed a joint letter to Obama," Martin observes, urging the president "to 'engage' personally in talks on long-term deficit reduction, which would include major cuts in Social Security, Medicare and Medicaid, the three most costly federal social programs." Want to guess who's demanding more from an ever-dwindling federal pie, largely the result of multiple imperial wars to steal other people's resources, corporate bailouts, tax cuts for the filthy rich and a National Surveillance State that views the American people as their deadliest enemy? As Antifascist Calling has frequently reported, with various cyber panics now supplementing secret state scaremongering over terrorist threats from a score of shady actors, more often than not off-the-shelf "irregular forces" who, when not murdering official U.S. enemies, i.e., leftists, human rights campaigners, trade unionists and other opponents of Empire, do a brisk business trafficking arms, drugs, human organs, women, whatever. Orwell reminds us: "All the war-propaganda, all the screaming and lies and hatred, comes invariably from people who are not fighting." But that doesn't mean they can't make a killing when opportunity comes knocking. After all, as Market Research Media reported, "with a cumulative market valued at $55 billion (2010-2015), the U.S. Federal Cybersecurity market will grow steadily--at about 6.2% CAGR over the next six years." Panic sells, and once the terms of the debate have been set by interested parties adept at feathering their nests, well, it's all aboard the "cybersecurity" gravy train! Last month, NextGov disclosed that "protecting military networks" in FY2012 will "cost nearly $1 billion more than the Pentagon publicly reported last month, an increase that reflects the growing number of programs being re-categorized as cybersecurity-related, agency officials said." When the Obama administration released its 2012 budget back in February, "the Pentagon announced it was requesting $2.3 billion to bolster network security within the Defense Department and to strengthen ties with its counterparts at the Homeland Security Department, which is responsible for overseeing civilian cybersecurity," reporter Aliya Sternstein wrote. But as I reported last year, "strengthening ties" amongst civilian and military cyber warriors means that the "Memorandum of Agreement" [.pdf] struck between the Department of Homeland Security and the National Security Agency will inevitably lead to a marked increase of Pentagon control, in profitable alliance with major defense and security firms, over America's telecommunications and electronic infrastructure. The bow broke and the cradle has fallen..
Empires most certainly can fall from within. The one and only method of bringing down the USA is from within. The infiltration of our gov has been ongoing for decades, battalions of insiders doing the bidding of the elites and their puppets -elected officals they put in office. ...under the current debt-based system, deficit spending is the only thing that keeps the economy from completely collapsing under the weight of countless billions in unpayable interest debt. Thus, balancing the budget without first implementing the monetary reform measures called for here is a false solution to say the very least. In view of the genocidal austerity this would bring, it is in fact an obvious case of the "cure" being far worse than the "disease." "All such remedies begin at the wrong end. They are like putting on brake and bit to hold in quietness horses that are being lashed into frenzy; they are like trying to stop a locomotive by holding its wheels instead of shutting off steam; like attempting to cure smallpox by driving back its pustules." And the right-wing misinformation campaign just keeps on coming! The Libertarian Kentucky Senator provided commentary and insight last night. No, Rand, we must institute a debt-free money system now. If we fail to do this first, then balancing the federal budget will be, at best, the equivalent of rearranging deck chairs on the Titanic, and, at worst, the equivalent of burning down the house to roast the pig! How many more times must I say this before Austrian School ideologues get it through their thick heads? "The budget [by Senator Rand Paul] provides two years of war funding, at the Presidentâ€™s requested levels." â€œAs long as the $1.2-trillion annual budget for the military-security complex is off limits (to cutting), nothing can be done about the US budget deficit except to renege on obligations to the elderly, confiscate private assets or print enough money to inflate away all debts,â€� Paul Craig Roberts, former Assistant Treasury Secretary under President Reagan warns. In an article titled â€œStealing from Social Security to Pay for Wars and Bailouts,â€� published in the April issue of the â€œRock Creek Free Pressâ€� of Washington, D.C., Roberts says that Republicans are calling Social Security and Medicare â€œentitlementsâ€�---making them sound like welfare---when, in fact, workers over their lifetimes have contributed 15 percent of all their earnings to the payroll tax that funds these benefits and have every right to them. And far from Social Security being in the red, between 1984 and 2009, Roberts writes, â€œthe American people contributed $2-trillion...more to Social Security and Medicare in payroll taxes than was paid out in benefitsâ€� but â€œthe government stoleâ€� that sum to fund wars and pork-barrel projects! 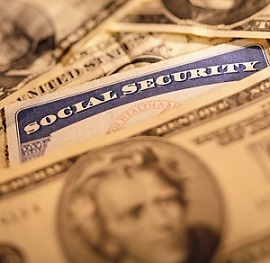 What's more, under one realistic estimate, far from crashing into the red, â€œSocial Security(OASDI) will have produced surplus revenues of $31.6-trillion by 2085, Roberts says. Americans, apparently, are unaware of how the federal government's illegal, foreign wars sap the economy and rob every household. The Iraq war cost alone is 20 percent of the size of last year's entire U.S. economy. Instead of investing that sum at home, â€œwhich would have produced income and jobs growth and solvency for state and local governments, the US government wasted the equivalent of 20% of the economy in 2010 in blowing up infrastructure and people in foreign lands,â€� Roberts says. â€œThe US government spent a huge sum of money committing war crimes, while millions of Americans were thrown out of their jobs and foreclosed out of their homes,â€� he added. Viewed another way, the Pentagon continues to expand and put people to work to modernize its 700-800 bases abroad in order to dominate every corner of the globe while public works and public employment in America are going into the toilet. On Wednesday evening, in a veritable Night of the Long Knives, Wisconsin's integrity was brutally murdered on the floor of the state Capitol in Madison. On 9 March, integrity and trust built up over a century was obliterated as Wisconsin state senators quickly reversed course and cleaved its budget "repair bill" in half. Financial items require a quorum, thus, collective bargaining was split off from the budget repair bill and voted on separately so as to permit its being voted on now. Even so, this still broke the state's open meeting law requiring 24 hours' notice to ensure transparency. Instead, the Wisconsin senate Republicans pulled out this new legislation without advance notice and began voting, leaving only a stunned Democratic legislator, Peter Barca, to read the open meeting law out loud to prevent the senators from voting. The senate voted over his objections anyway. Wisconsin is a state that invented Progressive Era Republican rule in the 19th and early 20th centuries under such progressive populists as Robert LaFollette. Under their tenure, rent-seeking from the public domain and similar insider corruption were checked by a strong public sector anchored in integrity. The state's long history of reforms nurtured a prosperous middle class and made it a model of clean government, solid infrastructure, trade unionism and high value-added industry managed by socialists and the LaFollette Progressives. Fast-forward to Scott Walker today. Representing a new breed apart from Wisconsin's earlier Republicans, he is seeking to re-birth the asset-grabbing Gilded Age. A plague of rent-seekers is seeking quick gains by privatizng the public sector and erecting tollbooths to charge access fees to roads, power plants and other basic infrastructure. But who is one to steal from? Most wealth in history has been acquired either by armed conquest of the land, or by political insider dealing, such as the great US railroad land giveaways of the mid 19th century. The great American fortunes have been founded by prying land, public enterprises and monopoly rights from the public domain, because that's where the assets are to take. Throughout history the world's most successful economies have been those that have kept this kind of primitive accumulation in check. The US economy today is faltering largely because its past barriers against rent-seeking are being breached. Nowhere is this more disturbingly on display than in Wisconsin. Today, Milwaukee â€“ Wisconsin's largest city, and once the richest in America â€“ is ranked among the four poorest large cities in the United States. Wisconsin is just the most recent case in this great heist. The US government itself and its regulatory agencies effectively are being privatized as the "final stage" of neoliberal economic doctrine. Wisconsin Gov. Scott Walker (R) is reportedly following the lead of Michigan Gov. Rick Snyder (R) by preparing a plan that would allow him to possibly take over municipalities that donâ€™t pass a financial stress test. â€œ[T]he Walker legislation would empower the governor to insert a financial manager of his choosing into local government with the ability to cancel union contracts, push aside duly elected local government officials and school board members and take control of Wisconsin cities and towns whenever he sees fit to do so,â€� according to Forbes. The reports first received public attention Monday when Madison, Wisconsin attorney and activist Ed Garvey made the claim on Wisconsin Public Radio. Why do right-wing fascists like Scott Walker continue to get elected? Because they know that most so-called "conservatives" in this country are so gullible, that as long as you wrap yourself in the American flag and prance around proudly proclaiming how much you believe in such things as "freedom" and "limited government," your flag-waving followers will never question you on specifics (even though the "devil" is almost always in the "details" of any political agenda). "What came after that [Obama's State of the Union address], of course, was Congressman Ryan of Wisconsin.... And Ryran -- what is his method? Notice: Republicans never want to talk about specifics, because specifics is how they're going to flay you alive. They want to pontificate and parade their principles. They want to rant about their superior principles of limited government and individual responsibility and all these other empty slogans. 'Rugged individualism' -- that was the watch-word of Hoobert Hoover, and with that he essentially precided over the destruction of the U.S. economy. Therefore Ryan's task was to pay tribute to these Republican reactionary platitudes, but without telling you how he's actually going to flay you alive." Trillion Dollar Hair Splitting: The Fake Budget Debate in Washington, D.C.
By definition, a "debate" requires two opposing sides holding mutually exclusive opinions. In the U.S. Congress, however, real debate has all but vanished. Instead, we are subjected to endless blather that â€” if you listen closely â€” is a simple discussion over splitting hairs. There can be no U.S. budget debate when both sides have already agreed that massive cuts to social programs â€” including Medicare and Social Security â€” will be the foundation of any plan. With this fundamental agreement already in place, Democrats and Republicans are pathetically trying to create a division where none exists. The right wing looks especially foolish, since Obama has been furiously sprinting to the political right throughout the budget "debate,â€� having already overtaken the right-wing deficit hawks; in response, the hawks have gotten more hawkish and restarted their rightward dash in a desperate attempt to appear in "opposition" to the right-wing President. For example, the Republicans originally demanded that an astonishing $4 trillion be cut from the U.S. budget, mainly through cuts to social programs. Not to be outdone, Obama presented a plan that would cut $4 trillion, mainly through cuts to social programs. The furthest right are the so-called Tea Party Republicans, who want to cut $10 trillion by essentially privatizing the entire U.S. Government. But, back to the hair splitting. Obama calls the $4 trillion Republican plan "radical,â€� and he's right; the plan seeks to privatize Medicare, destroy Medicaid, gut other social programs, lower corporate tax rates, etc. But Obama is a radical budget cutter too; he seeks to gut Medicare/Medicaid by $480 billion(! ), slash spending for many crucial programs for the poor, and privatize public education through his corporate-sponsored Race to the Top program. Obama's recent tough speech against the Republicans was the first sign of life for the President, just in time for him to begin his presidential run for 2012, which will surely be full of promises that will never see the light of day. "...the Democratic leadership in Congress refuse to refute the Republicans' big lie â€” that spending cuts will lead to more jobs. In fact, spending cuts now will lead to fewer jobs. They'll slow down an already-anemic recovery. That will cause immense and unnecessary suffering for millions of Americans"
"The president continues to legitimize the Republican claim that too much government spending caused the economy to tank, and that by cutting back spending we'll get the economy going again." (April 10, 2011). This two-party big lie is not an accident, but an expression of a deeper held belief: that the U.S. government must be directed to meet the needs of the super wealthy who own U.S. corporations. Holding this belief requires that you gut social programs (since corporations hate paying taxes) and privatize everything publicly owned (so corporations can own them for profit). As long as both Democrats and Republicans agree to these deeper beliefs, the country will shift continually to the right, with social programs and living standards evaporating. This is a rush transcript from "Special Report," April 25, 2011. This copy may not be in its final form and may be updated. SEN. RAND PAUL, R. - KENT. : I will vote to raise the debt ceiling if we pass a balanced budget amendment to the constitution. I'm willing to compromise. If he'll just call me, I'm willing to compromise. JAY CARNEY, WHITE HOUSE PRESS SECRETARY: The issue here is the debt ceiling has to be raised. And it cannot be held hostage to a process that is very complicated and difficult. JUAN WILLIAMS, SENIOR EDITOR, THE HILL: Senator Rand Paul and White House spokesman Jay Carney engaging in the growing debate, whether a balanced budget amendment should be part of any deal to raise the debt limit. Before the break we asked you will such an amendment be added to the constitution. 45 percent said yes, 55 percent said no. And we're back now with our panel. Before we get to the balanced budget amendment, Charles, more threats from Republicans over the weekend. They're not going to vote for a -- increasing the debt limit unless they see big spending cuts or structural changes to the budget. Where are we headed on this? CHARLESTON, W.Va. -- Sen. Joe Manchin linked his willingness to support increasing the federal debt limit Tuesday to bipartisan proposals to cap government spending and amend the U.S. Constitution to require a balanced budget. The West Virginia Democrat endorsed a measure by Sens. Claire McCaskill, D-Mo., and Bob Corker, R-Tenn., that would phase in a federal spending cap of 20.6 percent of the size of the economy. The sponsors expect such a move would whack almost $8 trillion from the budget over a decade's time. During scheduled appearances in South Charleston and Bluefield, Manchin also planned to tout the version of a balanced budget amendment sought by Sens. Richard Shelby, R-Ala., and Mark Udall, D-Colo.
"The truth is, raising the debt ceiling without a real budget fix would be the definition of irresponsibility," Manchin said in a statement. "Both of these proposals offer a good starting point and framework for negotiating a final debt fix." It was like showing up for game seven of the World Series. And just for good measure, make it Cubs versus Red Sox. In Congressional terms, this was the main event. As high as drama ever gets on Capitol Hill. The United States Senate was about to conduct one of the most-anticipated roll call votes in years. And no one quite knew the fate of a Constitutional Balanced Budget Amendment. All 100 senators sat patiently at their desks for the clerk to alphabetically call their names. Reporters peered down onto the Senate floor from their perch above. Interested observers packed the public viewing galleries. Congress is often like athletics. And no sport grants more power to a singular player than the pitcher in baseball. The pitcher dictates the pace of the game. Some work frenetically. Others plod along, wandering behind the mound to rub down the ball or go to the resin bag. In baseball, nothing happens until the pitcher says it will. Such is the case in the Senate and with the majority leader. And on that late February night in 1995, Senate Majority Leader Bob Dole (R-KS) made his way to the mound and realized he just didn't have it. For pitchers, it might be an issue of not being able to get loose or developing a blister while warming up in the bullpen. And as Bob Dole assumed the Senate mound, he knew that despite days of laboring, cajoling and whipping, he simply didn't have the votes. Then Dole did something pitchers can't do. Rather than risk defeat on the balanced budget amendment, Dole did the unthinkable. Dole called the game. An audible gasp filtered through the press gallery. Senators froze in their seats, shell-shocked at the dramatic turn of events. At the time, South Dakota Democrat Tom Daschle had been on the job less than two months as the Senate Minority Leader and Dole's counterpart. Sen. Robert Byrd (D-WV) hadn't served as his party's floor leader for seven years. But that didn't matter. Byrd was a parliamentary master. And to the West Virginia Democrat, Daschle was just too green to challenge Dole over such an extraordinary decision. This called for a veteran, not some rookie just up from Tidewater. Byrd blew past the neophyte Daschle and confronted his old adversary Dole. "This is a sad spectacle," charged Byrd of Dole's maneuver. "This has every appearance of a sleazy, tawdry effort to win a victory at the cost of amending the Constitution." But Dole's decision to postpone the vote salvaged the balanced budget amendment for his party. In the coming weeks, Congress is wrestling with a potential vote to increase the debt limit. And House Republican leaders are adamant they won't agree to a vote unless they can forge an agreement on a concrete framework with the White House and Congressional Democrats to harness government spending. It's unclear what such spending restrictions might look like. But many Congressional conservatives are increasingly calling for a Constitutional Balanced Budget Amendment. In his latest update, Senator Paul reaffirms his opposition to increasing the debt ceiling and makes the case for a Balanced Budget Amendment to the Constitution. This amendment would force Congress to balance their budget just as many states are required to do and families across America have to. Senate conservatives are working to pass a Balanced Budget Amendment (BBA) as part of the debate over a debt-limit increase. According to Politico, Sen. Mike Lee (R.-Utah) is circulating a letter to other senators asking them to join his pledge to â€œoppose any attempt to raise the debt ceilingâ€� until a BBA is passed by both houses. Lee has been joined by Republican Senators Rand Paul (Ky.), Jim DeMint (S.C.), Jim Risch (Idaho), Marco Rubio (Fla.), Jim Inhofe (Okla.), and Richard Shelby (Ala.). Some conservatives worry that a bipartisan plan to cap spending from Sen. Bob Corker (R.-Tenn.) and Claire McCaskill (D.-Mo. ), the CAP (Commitment to American Prosperity) Act, may undermine efforts to pass a BBA this year. The CAP Act would start in Fiscal Year 2013, capping spending at 25% of the gross domestic product, then ratchet down spending caps over the years 2014 through 2022. This isnâ€™t enough for some conservative senators, who note that spending caps have proven ineffective. Furthermore, some complain that the CAP Act sets spending levels too high, and doesnâ€™t even cap spending for the next fiscal year. On behalf of more than 1.7 million Americans for Prosperity (AFP) activists in all 50 states, I applaud you for proposing a balanced budget amendment (S.J. Res. 10 and H.J. Res. 56) to the United States Constitution that includes a strong limit on total federal spending. Over the past decade or so, it has become increasingly clear that unless there are firm constitutional guardrails to constrain federal spending elected officials are either unable or unwilling to overcome the institutional forces that facilitate endless profligacy. Your proposed amendment seeks to establish those guardrails in a responsible and, hopefully, effective way. One of the most important provisions in your proposed amendment is a spending cap that would limit federal outlays to 18 percent of GDP. This limitation reflects a proper vision of limited government and the relationship of spending to GDP in the post-WWII period. Additionally, by insisting that spending is restrained in order to balance the budget you guard against the amendment being hijacked and distorted to advance economically-destructive tax increases. Your amendment also strikes a balance between allowing flexibility for some deficit spending in times of national emergency, while requiring supermajorities in both chambers to do so. This assures citizens that the federal government will only run a deficit when there is a broad consensus that a genuine crisis demands it. Several other provisions nicely round out your balanced budget amendment. Your insistence on two-thirds majority vote to approve tax increases or spending above 18 percent of GDP is laudable. Your measure to prohibit courts from legislating tax increases from the bench is important and prescient. Finally, a five-year transitionary period from ratification to legal efficacy will give budgeteers enough notice to take meaningful action without the politically-contentious transition that could otherwise be used as a pretext to oppose the amendment. While it is always difficult to predict how the Judicial Branch will interpret any portion of the Constitution, the mere presence of a balanced budget amendment will serve to compel the tough decision making that is often skirted in todayâ€™s federal budget process. Itâ€™s time for the federal government to balance its books, and AFP is proud to support your amendment. I urge your colleagues to support its passage and I look forward to working with you in the future. A Newt Gingrich presidency would see sweeping tax cuts, "very serious deregulation" and stringent limits on unemployment benefits after four weeks, the outspoken conservative told CNBC. As part of a five-point plan, the former House leader said he would eliminate the National Labor Relations Board, replace the Environmental Protection Agency and repeal the national health care plan, often called ObamaCare. He said he would cut regulations on financial institutions, including eliminating the Sarbanes-Oxley law that governs accounting practices of publicly traded companies. Amid all the tax-cutting and agency consolidations would come a return to a fiscal policy that he said emanates "directly from the Reagan playbook." "I think these kinds of steps would move us toward a very dramatic job growth, which is the best way to move towards a balanced budgetâ€”by getting people off of unemployment, off of Medicaid, off of food stamps, get them back into earning a living and paying taxes," he said. The key point is that it is the height of delusion to assume that, if the debt ceiling isn't raised, then that will some how compel the banker-owned Congress stop financing either banker bailouts or terroristic wars of aggression. On the contrary, it will merely give corporate-whore Democrats and corporate-whore Republicans alike the excuse they need to slash the social safety net at the very time it's needed most. Hence the title of Paul Craig Robert's article, "Stealing from Social Security to Pay for Wars and Bailouts." They're already robbing the funds without hitting the debt belong. It's absolute insanity. WASHINGTON, June 8 (UPI) -- Republican members of the Senate Judiciary Committee called Wednesday for hearings on a balanced budget amendment to the Constitution. Sens. John Cornyn of Texas, Orrin Hatch of Utah and six colleagues wrote to Sen. Richard Durbin, D-Ill., who is chairman of the Constitution subcommittee as well as assistant majority leader, saying, "Our nation is facing a fiscal crisis that is only getting worse." "The budget deficit is now almost fifteen times the size it was when the Senate came within one vote of passing a balanced budget amendment in 1997," they wrote. The amendment, they said, is "long overdue" and would "put in place a much-needed restraint on runaway Washington spending." If anyone thinks that, when corporate-whore Republicans blab about how they want to restrain "runaway Washington spending," they're referring to either banker bailouts or imperialist wars of aggression, I have some Arizona swampland to sell you. As Catherine Austin Fitts said last week on Alex's show, and as Webster Tarpley said last Saturday during his World Crisis Radio broadcast, this push for a "balanced budget" is about one thing and one thing only: giving corporate-whore politicians the excuse they need to dramatically cut the social safety net at the very time it's needed most. Thus, the "balanced budget" mantra is merely Republican code for austerity fascism! To the self-proclaimed "Tea Partiers" out there who are actually defending this genocidal austerity agenda of the parasitic ruling class, shame on you! Financial strategists do not intend to let todayâ€™s debt crisis go to waste. Foreclosure time has arrived. That means revolution â€“ or more accurately, a counter-revolution to roll back the 20th centuryâ€™s gains made by social democracy: pensions and social security, public health care and other infrastructure providing essential services at subsidized prices or for free. The basic model follows the former Soviet Unionâ€™s post-1991 neoliberal reforms: privatization of public enterprises, a high flat tax on labor but only nominal taxes on real estate and finance, and deregulation of the economyâ€™s prices, working conditions and credit terms. What is to be reversed is the â€œmodernâ€� agenda. The aim a century ago was to mobilize the Industrial Revolutionâ€™s soaring productivity and technology to raise living standards and use progressive taxation, public regulation, central banking and financial reform to distribute wealth fairly and make societies more equal. Todayâ€™s financial aim is the opposite: to concentrate wealth at the top of the economic pyramid and lower laborâ€™s returns. High finance loves low wages. The political lever to achieve this program is financial. The European Union (EU) constitution prevents central banks from financing government deficits, leaving this role to commercial banks, paying interest to them for creating credit that central banks readily monetize for themselves in Britain and the United States. Governments are to go into debt to bail out banks for loans gone bad â€“ as do more and more loans as finance impoverishes the economy, stifling its ability to pay. Yet as long as we live in democracies, voters must agree to pay. Governments are sovereign and debt is ultimately a creature of the law and courts. Fought in the name of free markets, this counter-revolution rejects the classical ideal of markets free of unearned income paid to special interests. The financial objective is to squeeze out a surplus by maximizing the margin of prices over costs. Opposing government enterprise and infrastructure as the road to serfdom, high finance is seeking to turn public infrastructure into rent-extracting tollbooths to extract economic rent (the â€œfree lunch economyâ€�), while replacing labor unions with non-union labor so as to work it more intensively. This new road to neoserfdom is an asset grab. But to achieve it, the financial sector needs a political grab to replace democracy with financial technocrats. Their job is to pretend that there is no revolution at all, merely an increase in â€œefficiency,â€� â€œcreating wealthâ€� by debt-leveraging the economy to the point where the entire surplus is paid out as interest to the financial managers who are emerging as Western civilizationâ€™s new central planners. FT: Otmar Issing, your former colleague, says Greece is insolvent and it â€œwill not be physically possibleâ€� for it to repay its debts. Is he right? The key problem is political will on the part of the government and parliament. Privatisation proceeds of â‚¬50bn, which is being talked about â€“ some mention more - would reduce the peak debt to GDP ratio from 160 per cent to about 140 per cent or 135 per cent and this could be reduced further. A week later Mr. Bini Smaghi insisted that the public sector â€œhad marketable assets worth 300 billion euros and was not bankrupt. â€˜Greece should be considered solvent and should be asked to service its debts,â€™ â€¦ signaling that the bank remained firmly opposed to any plan to allow Greece to stretch out its debt payments or oblige investors to accept less than full repayment, a so-called haircut.â€� Speaking from Berlin, he said that Greece â€œwas not insolvent.â€� It could pay off its bonds owed to German bankers ($22.7 billion), French bankers ($15 billion) and the ECB (reported to be on the hook for $190 billion) by selling off public land and ports, water and sewer rights, ownership of the telephone system and other basic infrastructure. In addition to getting paid in full and receiving high interest rates reflecting â€œmarketâ€� expectations of non-payment, the banks would enjoy a new credit market financing privatization buy-outs. Rather than raising living standards while creating a more egalitarian and fair society, the ECBâ€™s creditor-oriented â€œreformsâ€� would roll the time clock back to oligarchy. Not the post-feudal oligarchy of landlords owning land conquered militarily, but a financial oligarchy accumulating banking claims and bonds growing inexorably and exponentially, leaving little over for the rest of the economy to invest or consume. If a homeowner loses his job and cannot pay his mortgage, he must sell the house or see the bank foreclose. Is he insolvent, or merely â€œilliquidâ€�? If he merely has a liquidity problem, a loan will help him earn the funds to pay down the debt. But if he falls into the negative equity that now plagues a quarter of U.S. real estate, taking on more loans will only deepen his net deficit. Ending this process by losing his home does not mean that he is merely illiquid. He is in distress, and is suffering from insolvency. But to the ECB this is merely a liquidity problem. The public balance sheet includes land and infrastructure as if they are surplus assets that can be forfeited without fundamentally changing the ownerâ€™s status or social relations. In reality it is part of the means of survival in todayâ€™s world, at least survival as part of the middle class. For starters, renegotiating his loan wonâ€™t help an insolvency situation such as the jobless homeowner above. Lending him the money to pay the bank interest (along with late fees and other financial penalties) or stretching out the loan merely will add to the debt balance, giving the foreclosing bank yet a larger claim on whatever property the debtor may have available to grab. But the homeowner is in danger of being homeless, living on the street. At issue is whether solvency should be defined in the traditional common-sense way, in terms of the ability of income to carry oneâ€™s current obligations, or a purely balance-sheet approach taken by creditors seeking to extract payment by stripping assets. This is Greeceâ€™s position. Is it merely a liquidity problem if the government is told to sell off $50 billion in prime tourist sites, ports, water systems and other public assets in order to pay foreign creditors? At issue is language regarding the legal rights of creditors vis-Ã -vis debtors. The United States has long had a body of law regarding this issue. A few years ago, for instance, the real estate speculator Sam Zell bought the Chicago Tribune in a debt-leveraged buyout. The newspaper soon went broke, wiping out the employeesâ€™ stock ownership plan (ESOP). They sued under the fraudulent conveyance law, which says that if a creditor makes a loan without knowing how the debtor can pay in the normal course of business, the loan is assumed to have been made with the intent of foreclosing on property, and is deemed fraudulent. This law dates from colonial times, when British speculators eyed rich New York farmland. Their ploy was to extend loans to farmers, and then call in the loans when the farmerâ€™s ability to pay was low, before the crop was harvested. This was indeed a liquidity problem â€“ which financial opportunists turned into an asset grab. Some lenders, to be sure, created a genuine insolvency problem by making loans beyond the ability of the farmers to pay, and then would foreclose on their land. The colonies nullified such loans. Fraudulent conveyance laws have been kept on the books since the United States won its independence from Britain. Creditors today are using debt leverage to force Greece to sell off its public domain â€“ having extended credit beyond its ability to pay. So the question now being raised is whether the nation should be deemed â€œsolventâ€� if the only way to carry its public debt (that is, roll it over by replacing bad old loans with newer and more inexorable obligations) is to forfeit its land and basic infrastructure. This would fundamentally alter the relationship between public and private sectors, replacing its mixed economy with a centrally planned one â€“ planned by financial predators with little care that the economy is polarizing between rich and poor, creditors and debtors. Financial lobbyists are turning the English language â€“ and economic terminology throughout the world â€“ into a battlefield. Creditors are to be permitted to take the assets of insolvent debtors â€“ from homeowners and companies to entire nations â€“ as if this were a normal working of â€œthe marketâ€� and foreclosure was simply a way to restore â€œliquidity.â€� As for â€œsolvency,â€� the ECB would strip Greece clean of its public sectorâ€™s assets. Bank officials have spoken of throwing potentially 150 billion euros of property onto the market. The asset stripping that Europeâ€™s bankers are demanding of Greece looks like a dress rehearsal to prevent the â€œI wonâ€™t payâ€� movement from spreading to â€œIndignant Citizensâ€� movements against financial austerity in Spain, Portugal and Italy. Bankers are trying to block governments from writing down debts, stretching out loans and reducing interest rates. When a nation is directed to replace its mixed economy by transferring ownership of public infrastructure and enterprises to a financial class (mainly foreign), this is not merely â€œrestoring solvencyâ€� by using long-term assets to pay short-term debts to maintain its balance-sheet net worth. It is a radical transformation to a centrally planned economy, shifting control out of the hands of elected representatives to those of financial managers whose time frame is short-term and extractive, not long-term and protective of social equity and basic needs. While overall that article by Hudson is very good, I must respectfully disagree on a few of his points. At least as far as the UK is concerned "pensions and social security, public health care" have come at a high cost and low quality, especially to those of generation Y. They've always been funded by high wage and sales taxes as well as being tightly centrally controlled, a hangover from WW2 rationing. "Free" is a misnomer, because someone has to expend their labour in order to provide said service. Wages and pensions were never linked, thus causing a generational gap where pensions become harder and harder to obtain (chronologically) while needing more and more contributions to achieve the same payout. Beveridge's report on the social safety net for example, demonstrates that it was never intended to help the poor out of difficult situations but rather to create a servile class, helpless and dependent on the state and thus easily manipulated for globalist ends. I don't think he was saying that Western social safety nets are perfect, just that -- despite their imperfections -- they are still, on balance, better than nothing at all. But those not familiar with the horrid economic conditions of the Gilded Age tend not to understand this. As I explain here, I'm all too aware that the social safety net is seriously flawed and in urgent need of reform. But I assume you'll agree with me that throwing the baby out with the bathwater -- as right-wing ideologues would have us do under the false guise of "liberty" -- would be a cure that's even worse than the disease. There's a reason why ruling-class oligarchs are promoting austerity measures, and it's not because they want us all to become financially independent and prosperous. If you're (as an individual) rendered ineligible through complex, bureaucratic rules, it is as good as nothing. I still appreciate your point though. Of course, I think the system should be phased out at the same time as alternatives (like the citizens dividend\guaranteed income) are phased in. Look at this BBC article: Who exactly is thew front runner? "Former Massachusetts governor Mitt Romney is the front-runner in the field bidding to challenge Mr Obama." However by looking at the picture of the Republican supporters I can see at least 9 posters from Ron Paul supporters, where are all thsoe numerous Mitt Romney supporters? Meanwhile, polls show American voters are adamantly opposed to any debt ceiling increase, absent substantial spending cuts and binding reforms. The great swindle begins...a bailed out bank goes for Â£400 million less than the UK government rescued it for. We get to keep the toxic assets though, a nice drain on innocent taxpayers. Chancellor George Osborne has confirmed that he is going to try to sell Northern Rock to a single buyer. He has not rejected other options, but has been advised he will make the most money by selling it in one go. The auction of Northern Rock is expected to raise about Â£1bn, which is less than the Â£1.4bn the government injected into the bank, although not all of it is to be sold. The former mutual has been split into a "good bank", containing customers' savings and about 70 branches, and a "bad bank" containing the more toxic loans. How is this twisted prioritization of budgetary expenditures any different in principle from what corporate-whore Republicans are advocating? Will slogan-parroting, flag-waving "conservatives" ever awaken to the fact that Obama is a flaming fascist just like Bush was? Or will they keep right on mindlessly giving him "left cover" by accusing him of being a "socialist" who wants to "redistribute wealth" to the undeserving poor? Bipartisan talks between the Obama administration and congressional leaders of both the Democratic and Republican parties would have a deal â€œbeyond $1 trillionâ€� in budget cuts before the Fourth of July recess, Vice President Joseph Biden said Tuesday, after the first of three scheduled meetings this week. â€œIâ€™m convinced that we can come up with an agreement that gets the debt limit passed and makes some real serious down payment on the commitment to 4 trillion bucks over the next 10 to 12 years,â€� he said, referring to the deficit reduction proposal made by President Obama in April. The parameters for the talks were determined by the Obama administrationâ€™s capitulation to the demand of House Speaker John Boehner, the top congressional Republican, that legislation to raise the federal debt ceiling should include spending cuts of an equal amount. Since the Treasury has forecast that about $2.4 trillion in new federal borrowing will be needed between now and the end of 2012, that would require $2.4 trillion in spending cuts. The Treasury stopped borrowing in mid-May, when it reached the current debt ceiling of $14.3 trillion. Treasury Secretary Timothy Geithner said that one-time financial maneuvers could sustain federal government operations through August 2, but there will be no funds to cover Social Security checks to be sent out August 3 unless the debt ceiling is raised. Biden indicated that the negotiators hoped to have a preliminary proposal by July 1, to give Boehner and Obama time for additional top-level talks to finalize the agreement and to persuade majorities in both the House and Senate to back the deal. While Tuesdayâ€™s session focused on specific cuts in spending, Wednesdayâ€™s was devoted to longer-term changes in the budget process, including enforceable caps that would force automatic spending cuts if the deficit did not fall by a specified amount. On Thursday the negotiators moved on to proposals for massive cuts in Medicare and Medicaid. The health care programs for the elderly and the poor are the main targets of the deficit reduction talks. They are likely to bear the brunt of the nearly $1.4 trillion gap between what has already been accepted by the group chaired by Biden, and the figure set by Boehner. Both Social Security and the Pentagon, the two largest components of federal expenditure, have been largely taken off the table. Press reports said the Wednesday session included discussion of a one-year payroll tax holiday for employers, another boondoggle for corporate interests to be sold to the public as a â€œjob creationâ€� measure. However, since Corporate America is already sitting on a cash hoard of $2.6 trillion, which it refuses to invest in hiring new workers, another $100 billion or so in â€œincentivesâ€� is unlikely to make any difference. A one-year partial payroll tax holiday for workers was incorporated into the bipartisan legislation passed last December, extending the Bush tax cuts for the wealthy. While touted by the White House as more â€œeconomic stimulus,â€� the small addition to workersâ€™ paychecks has been more than gobbled up by the rising cost of gasoline at the pump. The top Republican in the Biden-led talks, House Majority Leader Eric Cantor, chimed in with praise for the budget-cutting process and Bidenâ€™s role in particular. Obamaâ€™s top budget official, Jacob Lew, cited the â€œatmosphere of cooperationâ€� in the Biden-led talks, emphasizing particularly the fact that none of the seven participants, five Democrats and two Republicans, has discussed any of the specific cuts with the media. He said this was a sign that both sides were taking the discussions seriously. There is a definite political significance to the close-mouthed character of the White House talks. What is taking place in Washington is a bipartisan conspiracy to rob the working class, slashing trillions from Medicare, Medicaid, food stamps and other social programs, under economic conditions where these social benefits are more needed than ever. No leading Democrat or Republican wants to alert working people about the immensity of the changes in social policy that are being prepared. The Republicans what to dispense with any pretense of â€œfairness,â€� and make even bigger slashes in spending to finance additional tax cuts for the rich. So far, as in all previous such â€œshowdownsâ€� under Obama, the Republicans have prevailed, insisting that tax increases are not on the table in the Biden talks. The bipartisan talks are â€œboosting optimism in corporate America,â€� according to a report in the Washington newsletter the Hill Thursday. â€œChief executive officers of some of the nationâ€™s largest companies believe important structural changes could emerge from the talks, led by Vice President Biden,â€� the newsletter reported, citing a survey of CEOs by the Business Roundtable, a corporate lobby headed by Ivan Seidenberg, CEO and Chairman of Verizon Communications. While the corporate bosses expect, with good reason, to profit from the bipartisan budget-cutting, the actual impact on working people can be seen in the appropriations bills for the 2012 fiscal year now going through the House of Representatives. This weekâ€™s action focused on the $17.25 billion appropriations bill for the Department of Agriculture, which includes major cuts in nutrition programs like food stamps and WIC, which provides food commodities for pregnant and nursing women and their children, as well as a cut in the number of federal food safety inspectors. According to an analysis by the Obama administration, the cuts would mean that 1.1 million recipients of emergency food aid will go hungry. The bill will also export hunger by reducing funds for the international Food for Peace program. On Wednesday a group of ultra-right Republicans tried and failed to impose even deeper cuts, including an additional 10 percent from WIC and the effective abolition of Food for Peace. Also on Wednesday, the House Judiciary Committee approved a constitutional amendment requiring a balanced federal budget at a level no greater than 18 percent of US gross domestic product, down from the current level of 24 percent. The amendment, which would have to pass the Senate and be ratified by the states, would force an across-the-board 25 percent cut in all spending, beginning in 2017. Given the constraints of interest payments and the military, where spending is expected to rise, it would mean the effective abolition of all federal social spending outside of Social Security. The gentrys are on a roll. Who is the target of this fiscal buffet, we the people. We know without a doubt the base of this abomination is the ongoing wars and the expansion of Goverment controll. Why in the name of God do they continume to spin their bull shiiite and get away with it, health care and social securty, the poens savior. I have lost faith, oh I had it when I was young, but it has seemed to have evaporated and replaced with cynasism. My Ol theme remains, a billion dollars minimum on the wars on a daily basis for ten years, that does not include other billions spent on the MIc projects and and R & D, DEA, Homeland Security, etc.. among a mass of other fake parasitic agencys. Lets not dismiss the 2.3 trillion lost by our Pentagon. Can some with a calculator get a total out of this, I gave up, math is not my strong point! Talks on slashing trillions in domestic social spending are set to resume Monday at the White House, with President Obama meeting separately with the top Democrat and Republican in the US Senate, Harry Reid and Mitch McConnell. The White House announced Friday that Obama would intervene personally in the budget talks, after negotiations headed by Vice President Joseph Biden broke down Thursday. The two Republican negotiators, Congressman Eric Cantor and Senator Jon Kyl, walked out of the talks, demanding that the Democrats drop all proposals for tax increases on the wealthy. The federal government has been unable to borrow money since hitting the debt ceiling of $14.3 trillion in May. The talks have been conducted under the shadow of an August 2 deadline, by which point Treasury financial maneuvers will be exhausted, and the US government will be unable to pay its bills, potentially triggering a global financial crisis. Since this round of budget talks began, in early May, the Obama administration and the Democrats have retreated steadily before the demands of the Republican right, although the Republicans control only the House of Representatives, while the Democrats hold both the Senate and the White House. The Democrats began the talks by accepting two of the three main conditions set by the Republicans: that any measure to raise the debt ceiling should be tied to massive cuts in domestic spending, particularly in entitlement programs like Medicare, Medicaid and Social Security; and that the dollar amount of the increase in the debt ceiling would be matched, dollar-for-dollar, by the amount of deficit reduction. The third condition set by the Republicans, and dramatized by their walkout Thursday, is that the deficit reduction come exclusively from spending cuts, with no increase in taxes on any section of the wealthy or big business. The so-called breakdown of the talks Thursday was a largely orchestrated affair, designed to allow the Democrats to posture as advocates of tax increases for the wealthy and corporate interests before their inevitable and completely predictable cave-in. The â€œcollapseâ€� and subsequent resumption of the budget talks were likely prepared the night before Cantorâ€™s much-publicized â€œwalkout,â€� when House Speaker John Boehner visited the White House Wednesday night for a closed-door meeting with Obama, which went unreported for several days. An examination of the actual tax measures proposed by the Democrats, however, reveals that they have already gone 90 percent of the way towards the Republican demand that nothing should touch the accumulated wealth of the super-rich. Speaking on the CNN program â€œState of the Union,â€� House Minority Leader Nancy Pelosi made the same argument, saying, â€œItâ€™s not a question of tax increases,â€� only closing loopholes. Biden did not explain why those who are struggling should bear any of the burden for a financial crisis caused by the super-rich. Nor did he address the question why those responsible for the financial swindling and looting that triggered the 2008 Wall Street crash are making more money than ever, instead of being prosecuted and locked up. Again, there was no explanation of why working people and the elderly should bear any portion of the burden for a crisis that they did not cause. The rhetoric about â€œshared sacrificeâ€� is only a preparation for a further cave-in to the demands by the financial elite that the working class pay for the crisis caused by the billionaires. As President Barack Obama told reporters that Republicans â€œdonâ€™t want a balanced approachâ€� in debt talks, Senate Republicans on Wednesday stepped up pressure on Democrats to help pass a constitutional amendment requiring the government to balance its budget each year. About a dozen GOP senators lined up before the cameras to speak on the need for such an amendment. With Congress deadlocked over deficit and debt issues, a group of conservative Republicans is moving forward with their bottom-line demands for a higher debt ceiling: congressional enactment of a balanced-budget amendment. On ABCâ€™s â€œTop Lineâ€� today, Sen. Rand Paul, R-Ky., called on President Obama to lead a â€œpublic debateâ€� that takes the discussion over taxes and budget-cutting out of secret negotiations. He said he and his fellow conservatives are willing to approve a higher debt limit if Congress votes to enact a constitutional amendment requiring a balanced budget, something he said could happen in a matter of weeks. Contrary to Kleptocracy-scripted CNN newsbytes, the United States Debt Debate is NOT just the false choice between raising taxes on the few and rich versus lowering Medicare for the many and poor: What always goes unmentioned is MILITARY PORK. Simple lessons from the presidencies of Franklin Roosevelt and Ronald Reagan point to what's likely to be the only successful approach to containing government spending in the Barack Obama era. In FDR's time, a surge in spending by Washington was a cornerstone of New Deal efforts to lift the country out of the Depression. But unemployment never dropped below 14% in the 1930s and rose to 19% by the end of the decade. "Now, gentlemen, we have tried spending," Henry Morgenthau, FDR's Treasury secretary, confessed to House leaders in 1939. "We are spending more than we have ever spent before and it does not work." Mr. Reagan understood this lesson when he confronted a recession in 1981, his first year in the White House. He restrained domestic spending (while funding a robust military buildup), and overall spending actually declined in 1987. But the cuts were temporary. Mr. Reagan's only lasting curb on spending was a gradual, scheduled increase in the Social Security retirement age to 67. Since 1988, Mr. Reagan's final year in office, spending has escalated to an estimated 25.3% of GDP in 2011 from 21.3%. The national debt has grown by nearly $4 trillion in Mr. Obama's presidency. Yet a sharp hike in spending has worked no better for Mr. Obama than it did for Mr. Roosevelt. And now we face a borrowing and debt crisis caused chiefly by the spending binge. So here are the two relevant lessons for the ongoing discussions on raising the debt ceiling between Congress and the White House: 1) spending does little to spur economic growth and job creation and 2) cuts are fleeting and quickly overwhelmed by more spending. Thus the solution to the spending problem is straightforward: Rather than temporary cuts, what's needed are a permanent cap on spending and structural changes in entitlement programs. Sorry guys, only RP said it, default.. The wars are the nucleus of our debt, that's it. This nation would not be in trouble domestically if not for 'their'.. war on terror. Its been close to a decade of war, a billion each day, any math wizards on board..
Oh ya, a billion a day does not include our DOD,CIA,R&D, and the remaining alphabet. I guess you reap what you sow!